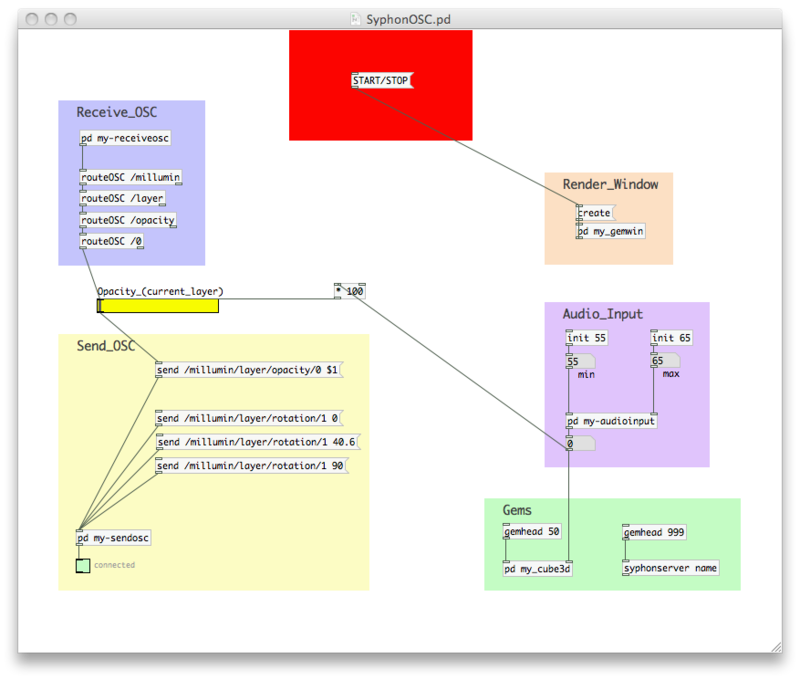 Pure Data is a real-time graphical programming environment for audio, video, and graphical processing. 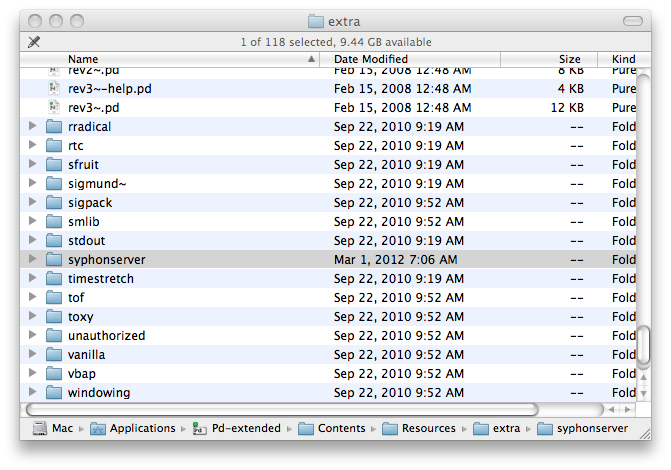 First, download and install the Pure Data application (the extended version). 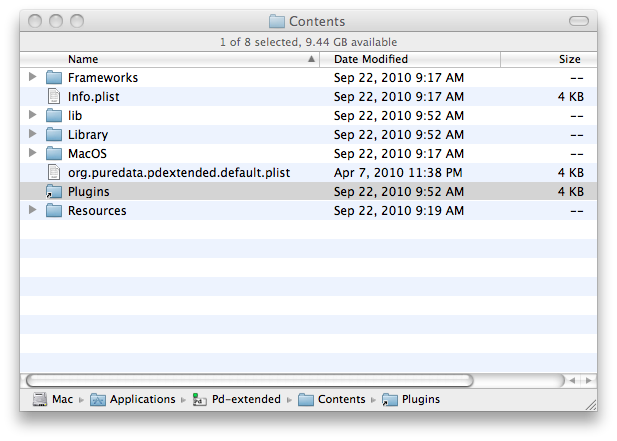 Then download and open this Pure Data patch : OnlyOSC.pd. 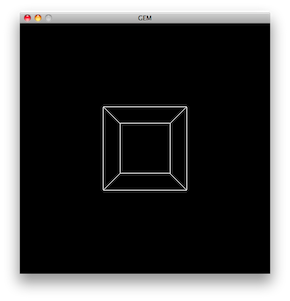 Pure Data works with boxes that have input and output. You connect input to output and you have something. It's simple and very different than coding. Now, click on [connect 127.0.0.1 5000] to connect the patch with Millumin. 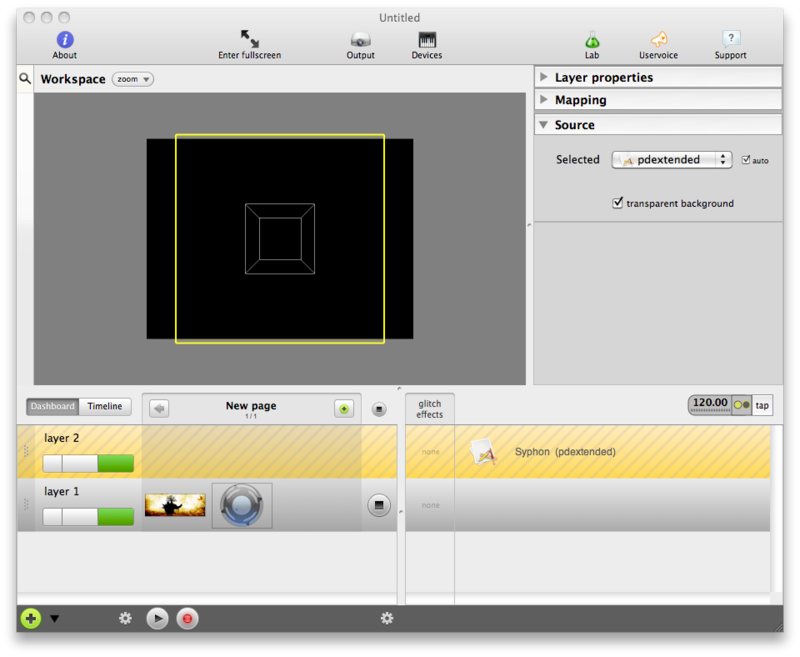 Play with the yellow slider : it changes the layer's opacity in Millumin. 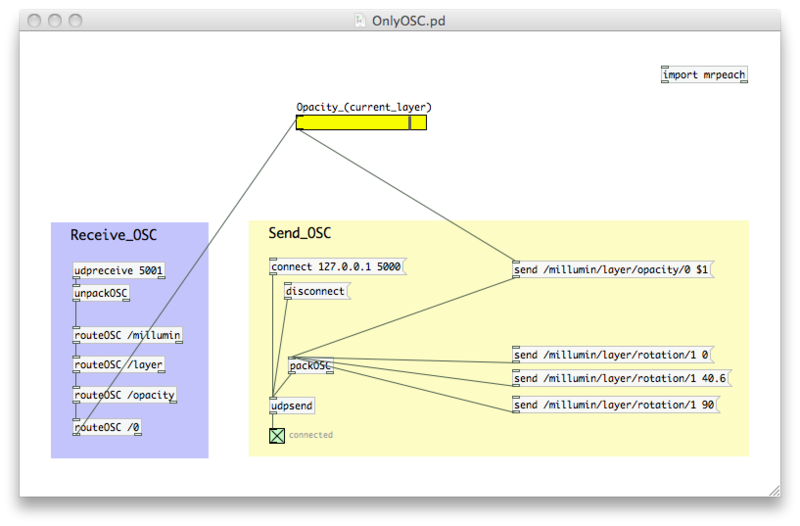 Play with the opacity in Millumin : it changes the yellow slider in Pure Data. The magic lies into the [udpsend] and [udpreceive] boxes. Right-click on the box and choose 'Help' to know more. First, download the Syphon Server for Pure Data. 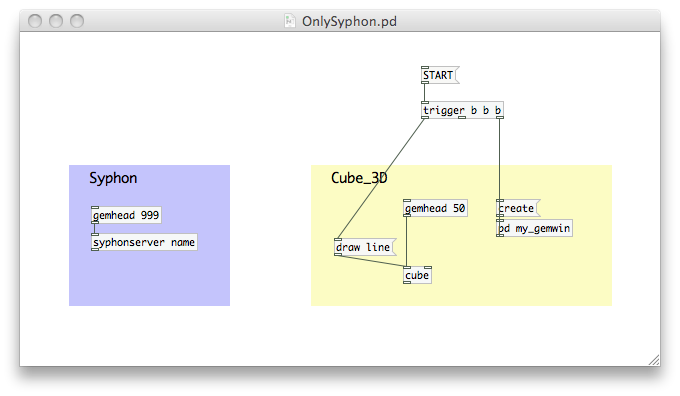 Now, you can download and open this Pure Data patch : OnlySyphon.pd. 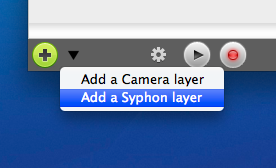 Now, click on [START] to start the Syphon server. Yeah : you get Pure Data output in Millumin ! Ok, download and open this Pure Data patch : SyphonOSC.pd. Have fun with this patch and your microphone. 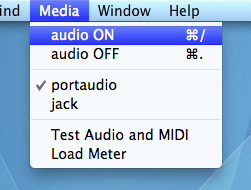 So don't forget to activate the sound in Pure Data ! 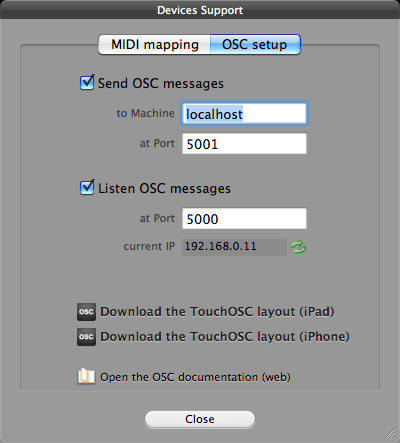 to manage OSC messages easily in your own patches.